I've always loved this one because it reminds of the genuine, unapologetic, purely FUN Lara from the classic trilogy. Like she was just out to raid, collect artifacts, and happened to save the world in the process. Same. I'm honestly shocked it was never released in higher quality with how much it was used back in the day. This is the best I can find of a decent quality and size. I've always had a soft spot for this render. It's a really cool action shot and I love what they did with the hair. This is a close second for me. Legend really had a bunch of incredible renders, huh? This has always been my favourite too! I love it so much. Last edited by Admles; 16-04-19 at 07:36. So many good renders! I have two favorites (and one honorable mention). 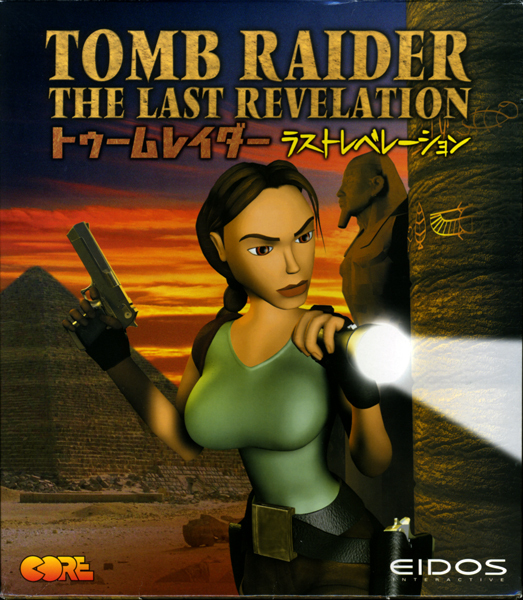 The TR1 cover: She's a beaut. The OG. Badass and gorgeous. I just love the pose and Lara's expression. The word "iconic" gets tossed around a lot, but I feel like there's no better way to describe this image. And then there's this baby from TRA. 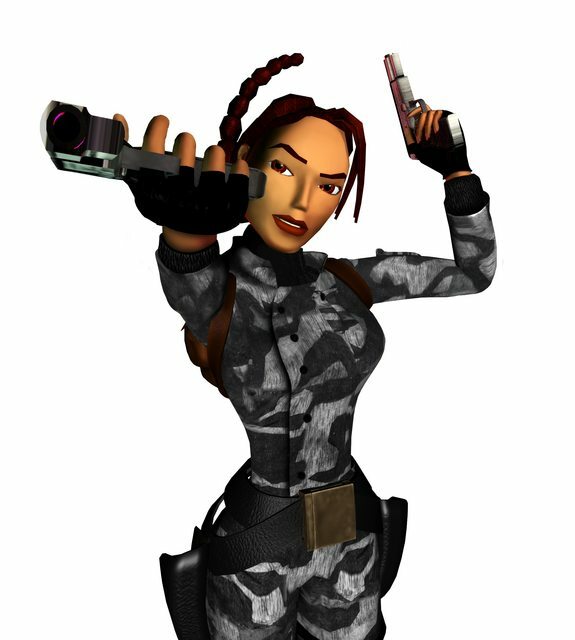 To me, this is the DEFINITIVE Lara Croft. Everything about her is perfect. Her eyes, her brows, the shape of her face - she is the classic TR1 FMV Lara in HD. Again, her expression is just perfect. Down to business, no nonsense, but with a hint of a smile. And last, the honorable mention. This TR3/TRC hybrid: Badass, but fun. I love Lara's cheeky smile and the slightly arched brow. I like this version better than the original because a) the snowsuit from TRC is just cool to me, and b) her Nevada outfit with the big awkward naval piercing is dumb. There's also so many great renders from AOD and TRL. Although I give the gold to TRL for having really detailed backdrops, as well. I honestly love ever loading screen from the game. The Bolivia Redux image, with Lara holding Excalibur, is just awesome. The colors, the pose, 10/10. I was referring to that one in particular. I used to actually love that render...but once I took a good stare at it...I realized how tiny her nose is compared to her eyes and mouth. Ever since Lara got a human-sized nose in the reboot, it's hard not to notice how impossibly small it used to be. Works on the cartoony FMV model of old, but not so much in the trying-to-be-photorealistic TRU renders. Nice gif, btw! But I also love the tigers from TRU. I wish that had been the box cover instead of headless hot girl covered in mud. I can never decide if I love or hate the TRU cover...on the one hand, I think "this is bold and you don't even need Lara's face to know it's her," but then I think "this is kind of demeaning and trash." Ultimately I agree that the tigers render would have been a better choice. Last edited by Woops; 16-04-19 at 06:36. That is stunning, my first time seeing it! I might not be too big on LAU overall, but I have to give it to CD that was the best era for TR renders. I absolutely adore the TRA ones. Both Egypt renders and the Colosseum one are absolutely stunning and just capture Lara Croft and Tomb Raider perfectly. 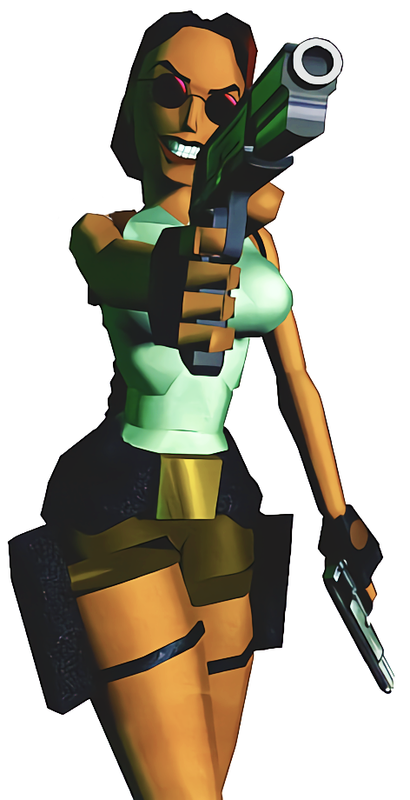 I think this is one of the main things that always made her look uncanny in the classics, and why I've never liked her FMV renders and also why I'm not keen on Underworld Lara. Everything was impossibly disproportionate. The tiny thin nose between the huge lips and eyes, the torso that looked like she'd had ribs removed and giant breast implants. It just all needs a little dialling back... except I think the Reboot went too far with that. 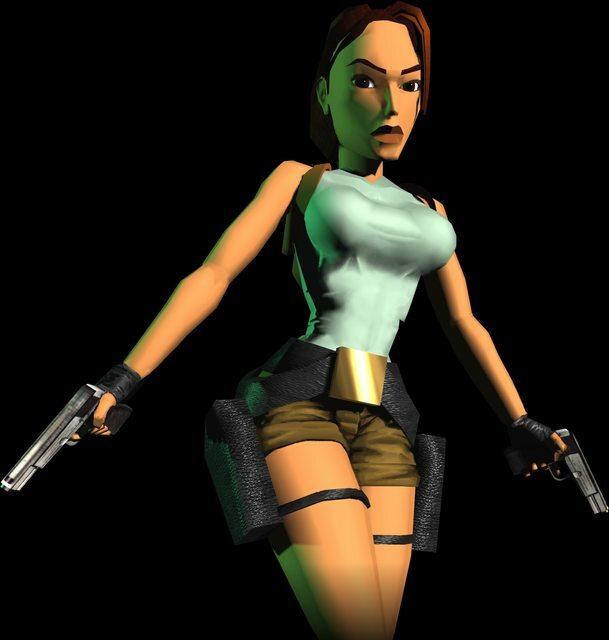 I think the reason why Reboot Lara (aside from in that wonderful Turning Point model anyway) doesn't resemble Lara is because they didn't pick the right features in proportionising. Rather than scale her nose up to match the really full lips, they kept the tiny nose (which Reboot Lara still has to me, especially in Rise and Shadow) and shrunk everything down to match it. They also went totally in the opposite direction with her body and removed her curves a little too much.